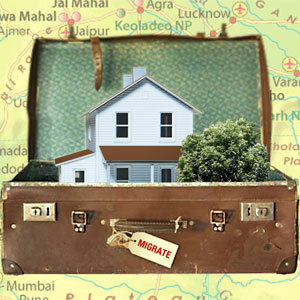 As per the 64th round of the National Sample Survey, nearly 29 per cent of Indians had relocated in the last 365 days. This migration rate for the country raises the question about which states have the most migrants. Take a look at the map to see the relocated persons per 1000 population (Migration Rate) for each state of India. The highest migration rates are found in Lakshadweep, Chandigarh and Himachal Pradesh. While most migrants in Lakshwadeep moved there to take up employment / better employment, most migrants to Chandigarh and Himachal Pradesh moved there because of Studies. The lowest migration rates were found in Meghalaya, Jammu and Kashmir and Haryana. 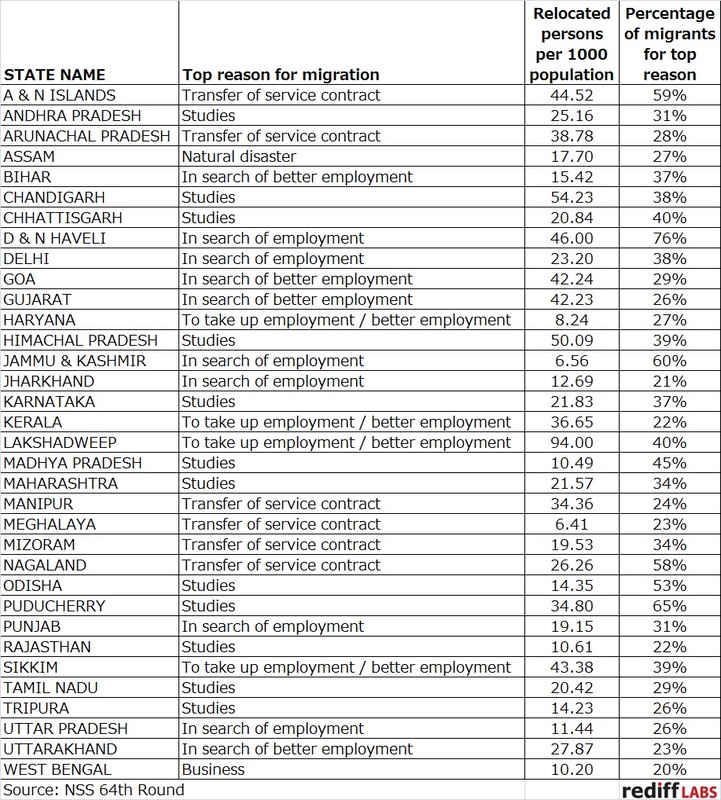 Take a look at the table below to see the migration rates for various Indian states along with the top reason for migration to the state.